Rotary Club of Rugby - Welcome! Our Club is part of the international Rotary organisation, and was founded in 1922. We usually meet on the first, third and fifth Fridays of each month. 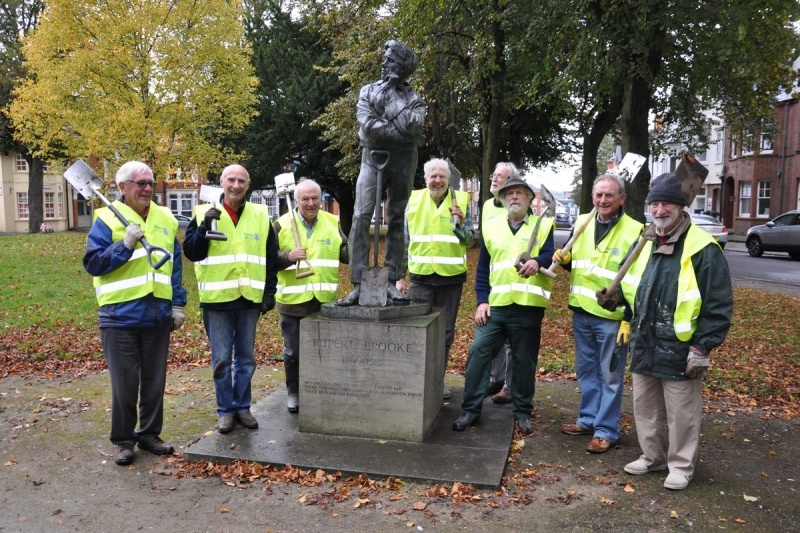 We have been active for almost one hundred years in a wide range of service projects, both local and international, but also believe in enjoying ourselves through a varied fellowship programme of social and fund raising events. Find out more about us from our monthly bulletin -Touchline. Our President hopes that you enjoy your visit to our site. If you want to know more about our club please contact us through the Join Rotary icon. In 2014 the club purchased a flat bed ‘Canter’ truck for the Abesu project. 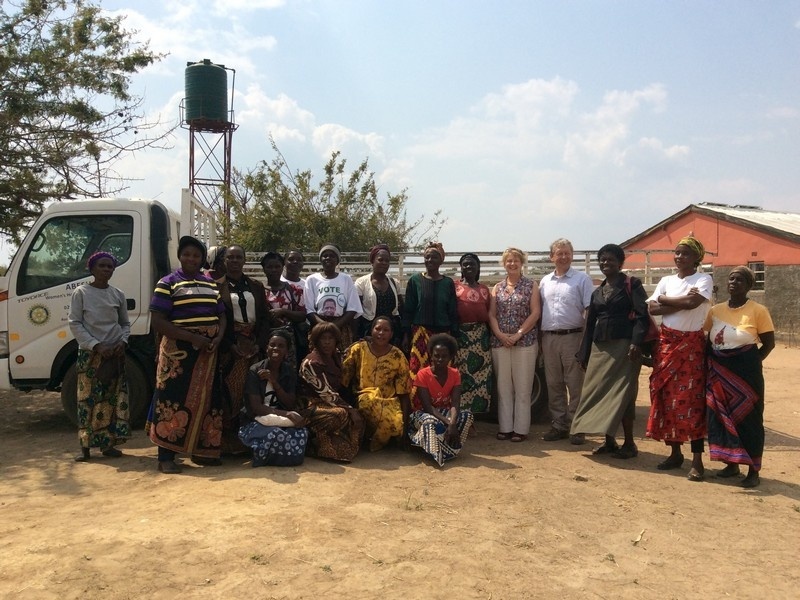 In August Sue and I took our first trip to Zambia to see the work of the co-operative and the truck in action. Nelson, Memory and Melanie for the People’s Process on Housing and Poverty in Zambia (who are now partnering Abesu) took us to their offices and gave us a presentation explaining the support they provide to co-operatives across Zambia. They then took us to the Abesu compound and after a rapturous welcome of singing and dancing we met with the ladies of the project in the resource centre. Following introductions all round they explained to us the difference the truck had made to their lives. This includes not only the ability to buy materials in greater bulk, with consequent cost savings, but also to transport sand from the river valley to the building site without having to carry it by hand, transporting people including those who are ill and need more specialist medical care than can be provided at the health post. The nearest village, Chongwe, is a two and a half hour walk away which is impractical for anyone who is ill. A guided tour of the Abesu compound and some of the completed houses followed. It’s very humbling so see how little the families in the co-operative have but how cheerful, optimistic and full of drive they all are. For anyone visiting in the future make sure you visit the ant hill cave, a partially underground house carved out of a large disused termite mound complete with statues!